The sides clash at Semple Stadium on Saturday. Can Peter Creedon's Tipperary claim a major scalp in Tyrone? PRIVATELY, IT’S THE one they wanted. Tyrone at Semple Stadium and with memories of the EirGrid All-Ireland U21 final between the counties still fresh. In case you’d forgotten, Tyrone won that one by a point at Parnell Park in Dublin but the fallout was extreme. Fergal Logan, the winning Tyrone boss, was denied access to the Tipperary dressing room for the traditional post-match words of consolation. Tipp were angry at some of the treatment dished out to their players out on the pitch and put up the shutters. Tipp alleged that their players were sledged but Tyrone pointed to a stamping incident that went unpunished. On the day after the game, Tipperary football board chairman Joe Hannigan went on RTÉ Radio 1 and went ballistic with Kevin McStay. The optics for all concerned were poor and it was a story that ran and ran before finally running out of oxygen. That was until last Monday morning when both counties were pulled out of the bowl together for round 3B of the All-Ireland senior football qualifiers. The Sky Sports cameras will be in Thurles tomorrow and the recent history between the counties should ensure for decent viewing figures, and a big crowd in Thurles. The question is, can Tipp compete with opposition that operated in Division 1 of the Allianz Football League this year? 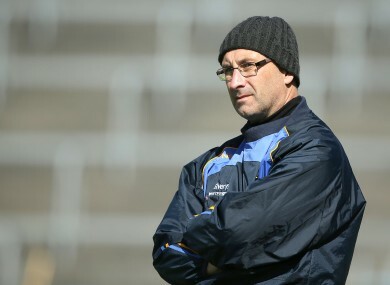 In two of the previous three seasons, Peter Creedon has steered Tipp to the last 12 of the All-Ireland series. Down denied them an All-Ireland quarter-final slot in 2012 and last year, the concession of crazy goals against Galway cost the Premier County a place in the last eight. The big goal for Tipp is to break through to the quarter-finals but they face a daunting task this summer if they’re going to achieve it. First it’s Tyrone and if they manage to get over that, a provincial loser from Connacht or Ulster. To reach Croke Park in August, they’ll need to take not one, but two major scalps. The suspicion is that Tipp will give Tyrone one hell of a rattle, but may fall just short. If Steven O’Brien, George Hannigan and Ian Fahey were all fully fit, Tipp would have a serious chance but the worry is that they may fall just short. The strength in depth of Creedon’s squad will be tested to the limit. It remains to be seen, too, how Colin O’Riordan will cope with two matches in three days. O’Riordan, in typical fashion, put in a serious shift for the county’s U21 hurlers on Thursday evening, scoring two first half goals. Now he must summon his bruised and battered body for another huge tilt with Tyrone. But O’Riordan and his U21 colleagues won’t lack motivation following that Parnell Park experience against the Red Hands. And facing the Ulster outfit again won’t be a step into the unknown. They may have had some inkling of what to expect before that U21 clash in terms of verbal intimidation but nothing could have fully prepared them for the reality of what lay in store. Tipp are going into this one with their eyes wide open. They won’t blink this time but while a big performance is expected, whether or not that’s good enough remains to be seen. Email “Tipperary's big chance to make a huge football statement against Tyrone”. Feedback on “Tipperary's big chance to make a huge football statement against Tyrone”.